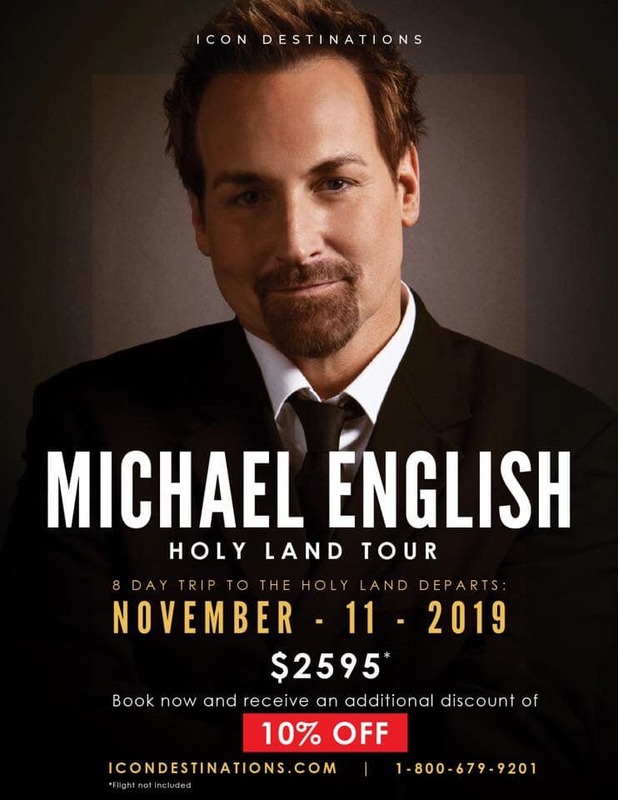 Join Grammy & Dove Award Winner MICHAEL ENGLISH and me to the Holy Land this November 2019! This will be Michael’s first trip and this indeed is a trip of a lifetime. See firsthand Bethlehem, Jerusalem, Dead Sea and be baptized in the Jordan River! 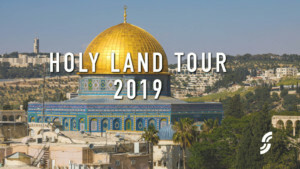 Follow the footsteps of Christ as we step into the sandals of our Savior visiting where Jesus fed the five thousand, peek where the Lord raised Lazarus from the dead, gaze at the Pool of Bethesda and retrace Gethsemane to Golgotha. Walk in personally to the Garden Tomb of Jesus! SPOILER ALERT! The tomb is EMPTY!! We don’t serve a dead god but the Living Lord! We are blessed to stay at top of the line hotels, first class tour bus and enjoy a time of both WORSHIP and the WORD. Michael is considered one of the greatest voices of our time and I am honored to open the Word on this trip. 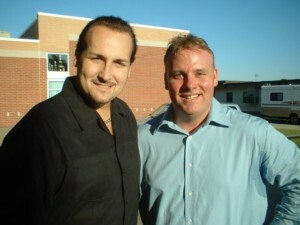 Michael and I have been friends for nearly 20 years and we already have friends coming from all over the country. I have been blessed to minister with him in several states (MD, VA, TX, SC, NC, Bahamas, Jamaica & now Israel). Order now to pay a $500 refundable deposit and get on a payment plan or pay in full now. When calling 800-679-9201 tell them you are friends with Frank Shelton and want to go on the Michael English trip to the Holy Land. Learn more here and view the itinerary! This is a trip you don’t want to miss!! Join ME & me to Israel and it won’t be same without YOU! Perfect for couples, singles, families, friends and and church groups. HONOR your pastor and spouse on this unforgettable trip. Pastor appreciation month is October and love to have them come along and be refreshed.